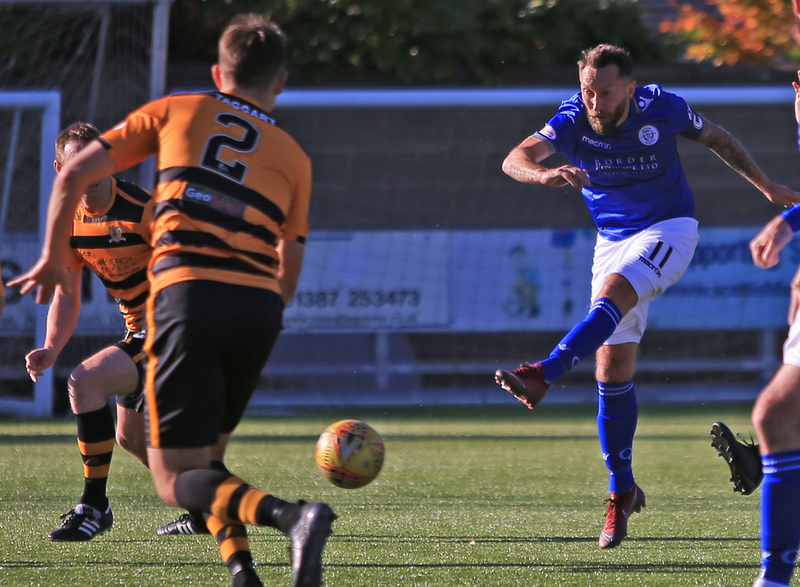 Three top quality strikes that produced another hat-trick for Stephen Dobbie were still not enough for Queens to claim all three points in todays game against Alloa. 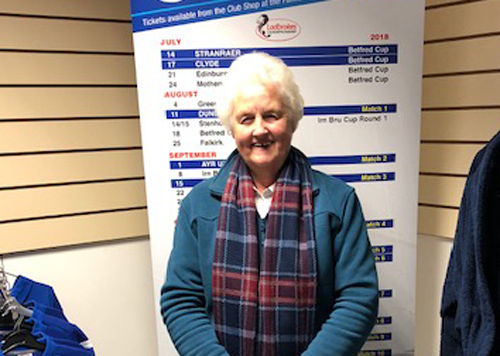 The goals from Scotland`s leading scorer were only sufficient enough to haul Queens back from being 3-0 behind after just 25 minutes, but they managed to salvage a point that at one stage looked well beyond Gary Naysmith`s side. Queens continued with the same starting line-up and the same 4-4-2 formation as they looked to end a run of three games without a win against an Alloa side who had yet to win any of their opening 7 league games, and had failed to score in any of their last three Championship games. The game began with the visitors on the front foot and there were signs that the away team were looking to take the game to their hosts as a couple of early crosses from the right tested the Queens defence. Strangely, for a team that had been so resolute in defence in recent games, Queens looked decidedly nervous at the back, and with only 3 minutes on the clock they fell behind when a ball into the box was not fully cleared, and despite several attempts to knock the ball to safety, Alloa profited from Queens not seeing out the danger as Flannigan was on hand to knock in Robertson`s flick from close range. Quite simply, Queens had not started and in the early stages Alloa were well in control of the game with their neat intricate passing, and pace down their right side causing problems for Queens every time they looked to break, and in the opening 10 minutes or so all Queens had to offer was a snapshot from Kyle Jacobs that was palmed clear by Alloa `keeper Parry. With the balance of play continuing to be in Alloa`s favour, it came as no real surprise to see the visitors extend their lead on 15 minutes when a delightful cross from the right by Shields was headed in at the far post by Hastie with the Queens defence posted missing. The home side tried to respond and after winning their first corner- which was far too easily defended - a long pass from Jordan Marshall found Dobbie, and although well struck, his effort was too near to Parry who saved comfortably. With passes going astray, and wrong decisions being made by Queens, the confidence was flowing through the away team and after 25 minutes they increased their lead even further. Another cross from the right, this time from Flannigan was met by Shields who showed more determination to get in front of the Queens defence to guide a looping header over the outstretched hands of Alan Martin. Alloa had only previously scored on one occasion away from home in the league this season and that was on the opening day when they shared 4 goals at Inverness, but here they were with a comfortable - and merited - 3 goal advantage after just 25 minutes. 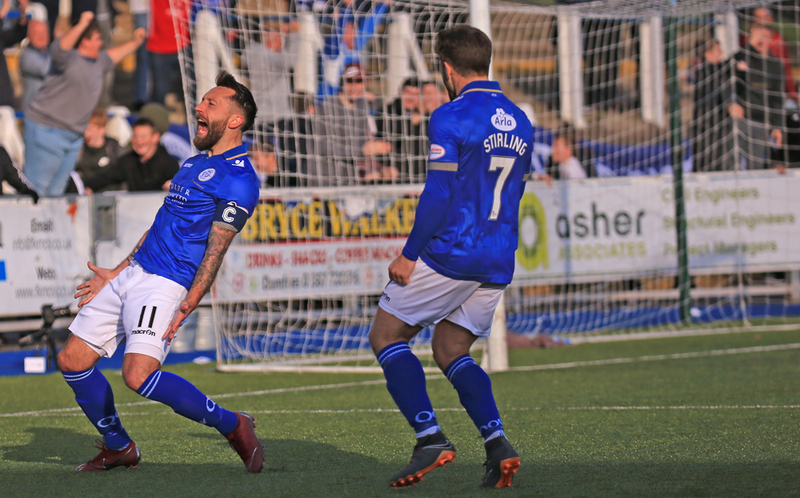 Having not been in the game at all, Queens, from nowhere grabbed themselves a lifeline when an exchange of passes on the edge of the area between Lyndon Dykes and Stephen Dobbie, allowed Queens` top scorer to produce a powerful drive that flew past Parry. Finally Queens had woken up, and Dykes went close minutes later when after getting the break of the ball just outside the box on the right, his low shot didn`t miss the target by very much. For the first time in the game the visitors defence were being asked questions, and 2 minutes from the break, they had no answers when Gary Harkins slipped a pass through to Stephen Dobbie who after beating the final defender thumped a low drive into the bottom left hand corner. 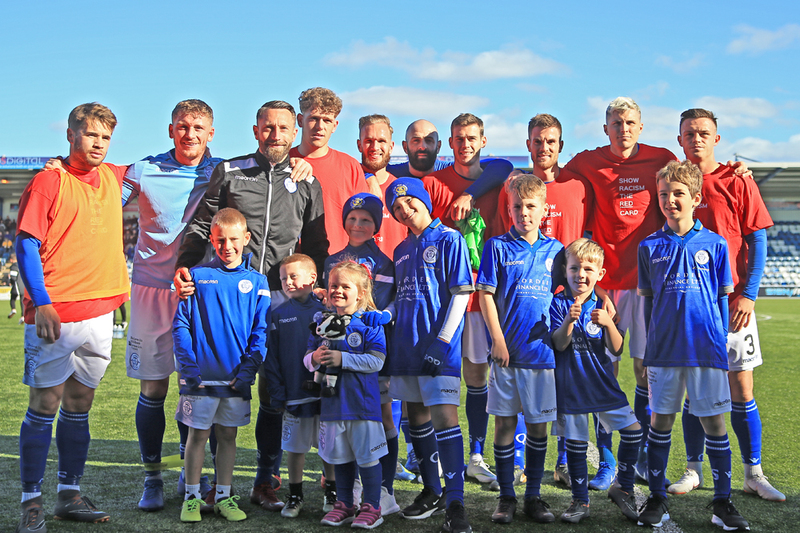 After looking to be down and out, Queens, and in particular Dobbie, had fought their way back into the game, and those two quick goals in the space of 7 minutes, gave them the platform to try and take something from a game that looked to be out of their reach. It was as you were for both teams as the second half got underway and after dragging their way back into contention, you would have expected Queens to have really put the pressure on from the start of the half, but in all honesty, they started quite slowly and the opening stages of the second period produced very little in the way of flowing football. The visitors had defender Roscoe booked for a deliberate handball as Queens threatened to break through, and with everyone pushed forward for the set-piece, the delivery was poor and the opportunity had gone. Referee, Munro evened up the card count when Jacobs was booked for a foul after Queens had lost possession in midfield, and in trying to recover, Jacobs` challenge was a bit over zealous. 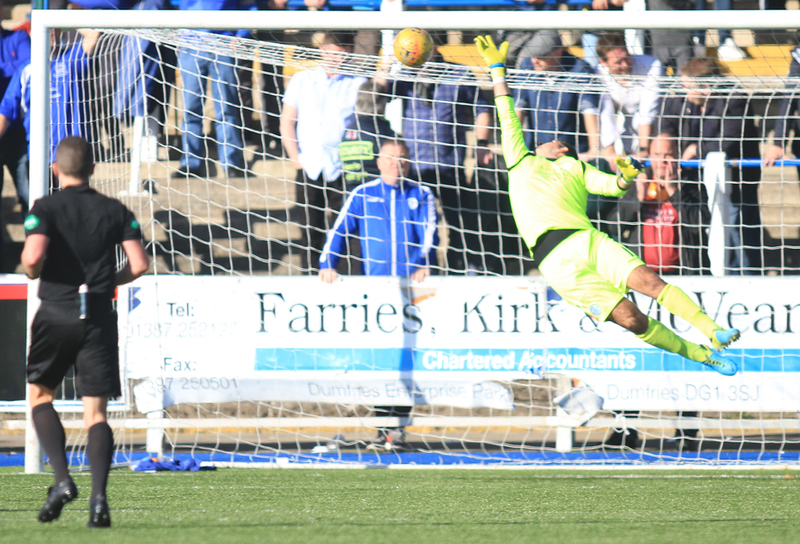 Queens were forced into making a change just before the hour mark when after chasing back to try and win the ball, Gary Harkins pulled up with what looked to be a muscle injury, and he was replaced by Kilmarnock loanee, Adam Frizzell. Queens best chance of the half came on 63 minutes when a goal-kick was taken short by Alan Martin to Michael Doyle and his long ball forward fell nicely into the path of Lyndon Dykes, but in trying to lift the ball over the `keeper, he got too much elevation on his shot which cleared both the `keeper, and the bar. Substitute Adam Frizzell followed Jacobs into the book following a foul in midfield, but just 5 minutes later, the young winger was involved in the sixth goal of the game that saw Queens draw level. 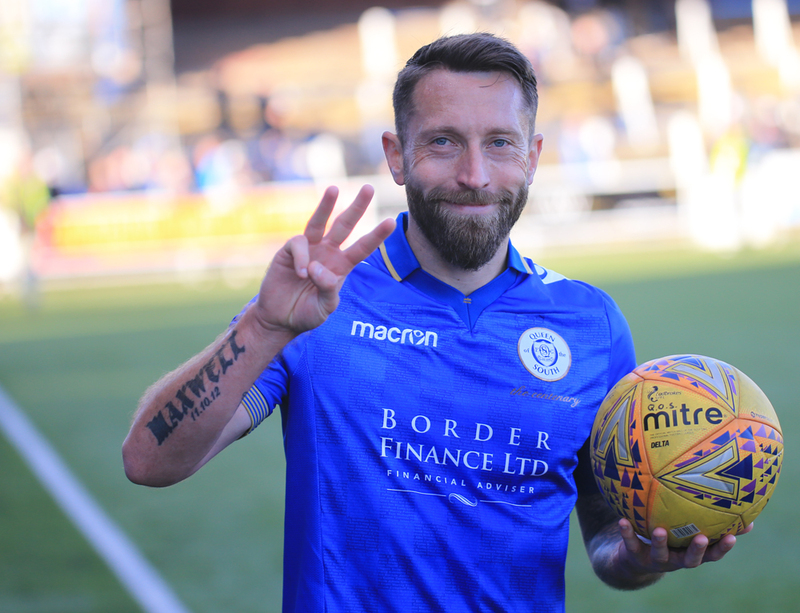 Frizzell showed good skill to keep control of the ball under pressure and was able to slide a pass across to Andy Stirling who in turn fed the ball into the path of Stephen Dobbie who produced another clinical finish to claim his 4th hat-trick of the season. With 20 minutes remaining, Queens had enough time to go ahead and complete the turnaround, but although they created several half chances, they couldn`t find the goal that would have earned them an unlikely victory. 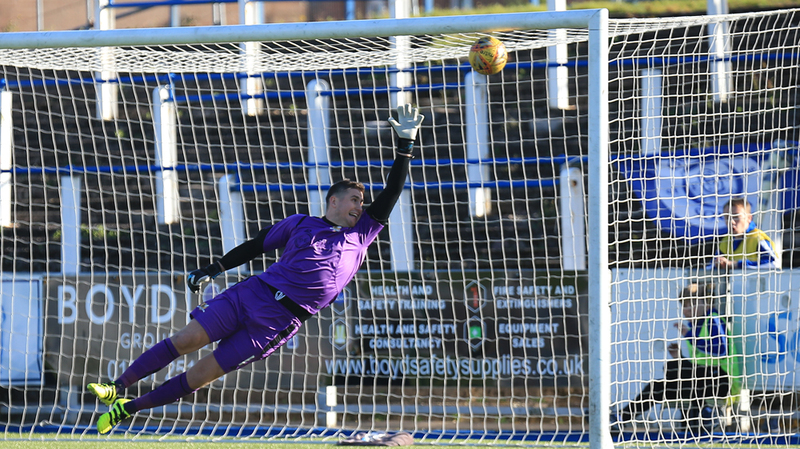 A shot from Stirling was comfortably saved, and a low drive from Josh Todd finished the wrong side of the post as far as the majority of the 1228 fans in attendance were concerned. Having fought their way back into the game, Queens almost threw the game away in the final minute. Pushing for a winner, Queens were nearly caught out as the away side made a quick break, and in `taking one for the team`, Callum Semple was booked as the visitors were presented with a very decent chance from the free-kick that arose following his illegal challenge. Alloa`s best player on the day - Flannigan - stepped up and hit a shot over the wall that seemed to be dipping in at Martin`s far post, but the Queens shot-stopper produced an excellent diving save to tip the ball round the post. Queens were able to defend the corner comfortably and although they had to settle for a draw, that option looked an unlikely outcome at 3 nil down and playing so poorly after only 25 minutes, so credit must go to the players who responded well to work their way back into the game. 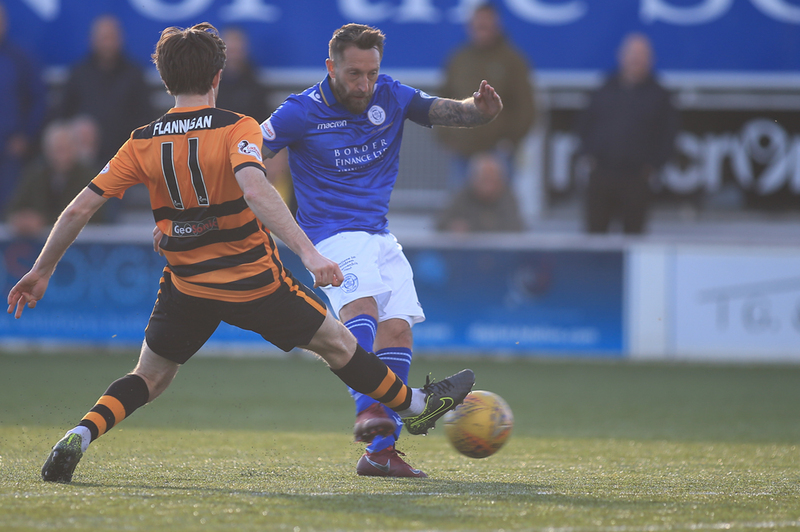 Credit also to Alloa who played some very watchable football- especially in the opening period, but of course once again the star of the show was Stephen Dobbie who produced 3 top quality strikes to take his tally to 24 goals so far this season, just one word for that, incredible! !